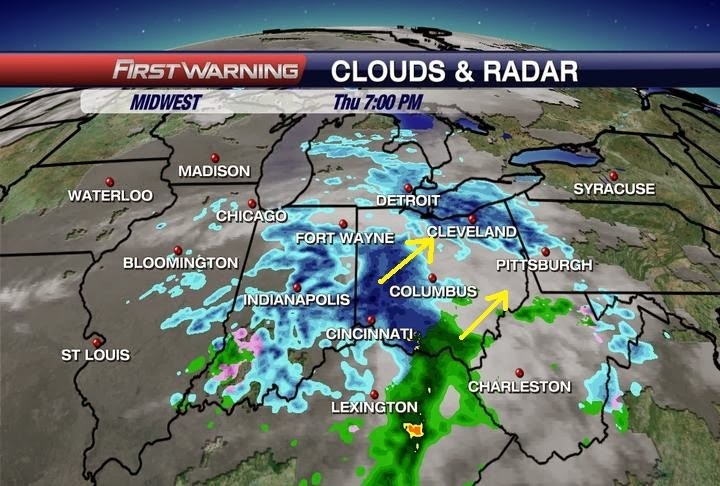 Snow showers moving in from the Southwest tonight. The temperatures across the Southeastern part of Ohio are too warm and will see rain instead. The snow showers will last into the overnight hours and should be done and gone by daybreak Friday. 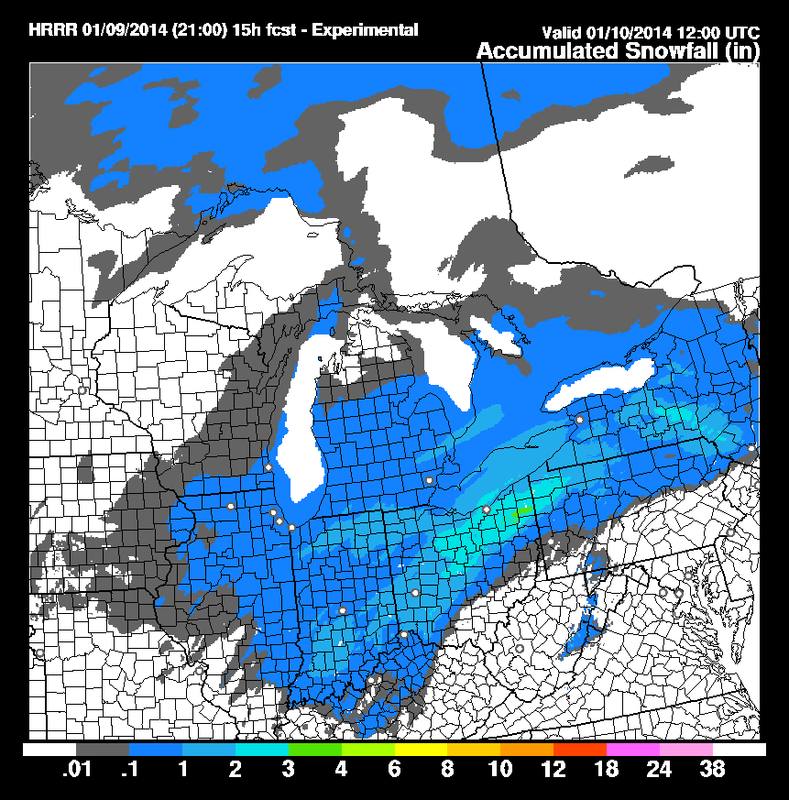 Here is the latest model output of how much snow can be expected. Generally 1" of snow with some pockets of closer to 2" of snow. It all depends on if you are located under some of the heavier banding. However areas across the Southeastern part of Ohio will not see any snow at all. Temperatures will continue to warm Friday and Saturday. We are generally dry Friday, no heavy precip, but Saturday rain moves in and we could see about half an inch of rain. Temperatures will bounce around the upcoming week, but no major arctic blasts anytime soon. And I am happy about that. Drive safe Friday morning and have a good one!